Sergeant Mike Krecioch, LAPD (ret.) retired after a 28 year career with the Los Angeles Police Department. “During his twenty-eight years with the LAPD, he worked such assignments as patrol, vice, complaint coordinator, assistant watch commander, and strike force commander. But by far, the most challenging was being raised in an orphanage knowing that both parents were still living. When Mike had children of his own and they were old enough to start asking questions, the subject of his past orphanage life was a forbidden topic. His children wanted to know more about their father and his past. After many years, he decided to honor his children’s requests by writing his memoirs entitled Orphan’s Asylum. It ultimately took Mike ten years to put the past into words. By doing so, it has not only helped him to come to terms with what had transpired those many years ago, but has also linked him to the many other orphanage alumni and their families. His unique style of writing from the perspective of a child adds to the credibility of his book. Mike was born in Chicago, Illinois. From the age of seven to fifteen, he was raised at Saint Hedwig Orphanage located in Niles, Illinois (just north of Chicago), under the supervision of Felician nuns. Upon leaving the orphanage, he lived with his father and stepmother for a short time before entering the United States Army. After retiring from the LAPD, Mike and his wife moved from Los Angeles to Florida and then to North Carolina. While in Florida, Mike became greatly involved in the community—mentoring with Take Stock in Children and working as a literacy tutor and coordinator of social community tennis. He has held membership in ProLiteracy, Friends of the Library, Advocates of Citizens with Disabilities, Inc., Experimental Aircraft Association (board member), Samuel P. Harn Museum of Art, Jacksonville Performing Arts Center, the local homeowner’s association (board member), the Los Angeles Police Protective League, and Rotary International. Mike and his wife (along with their therapy dog and cat) moved to North Carolina. He’s currently active in the Guardian ad Litem program (a child’s advocate in the court system), Rotary International, the Los Angeles Police Protective League, the Western North Carolina Writer’s Guild, and the Western North Carolina Tennis Association (board member). 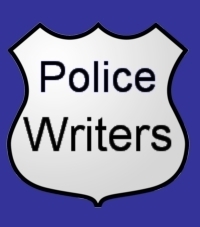 More books are in the works, along with some LAPD tales. Mike has previously been published in a national magazine.” Sergeant Mike Krecioch is the author of Orphan’s Asylum.